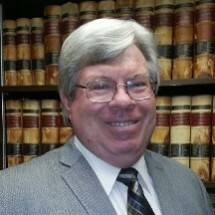 The owner of our firm, Raymond B. Rounds, holds a JD Degree and has a Masters Degree in Tax Law in addition to his law degree. He is a Judge Advocate in the United States Air Force Reserve, having also served in the JAG Corp during his active duty with the Air Force. He has special expertise in estate planning and business organization. Military law can have significant consequences in family and divorce law matters when one of the parties is military (active-duty or inactive, or retired) or a military dependent. We have handled hundreds of family matter cases, including multi-state problems. Tarryn Galloway is a valuable paralegal in our law firm. Her particular strengths are in the areas of divorce and family law, including, but not exclusively, decree modifications, child support, custody, visitation, and paternity issues. Her expertise in these sensitive matters enables the attorney to serve clients efficiently and with lower costs. Her extensive experience and knowledge is a definite asset in this field of law. Tarryn is a member of the National Association of Legal Assistants as well as the Utah Legal Assistant's Association. Raymond Rounds's extensive tax law experience gives our firm advantages in tax advice and all aspects of financial planning - whether it be drawing up a Will or Trust, or informing regarding Medicare benefits for a client. Perhaps the Internal Revenue Service is on your case. The IRS has garnished your wages, or put a lien on your house. Dealing with the IRS can be a headache in itself. Turn your worries over to us, and let our experience in all aspects of taxation matters work for you. If your situation involves the military - whether it be the Air Force or any other branch such as the Army, Navy, or Marine Corps - Attorney Rounds's knowledge of military law and military regulations can help you find the best solution to your problem. In a divorce or child custody or support question--where one of the marital partners, or former partners, is serving, or has served, in the armed forces--special rules may apply as to where a petition or cause of action should be filed. It is also important to know your rights under military law regarding military retirement, entitlements, and health benefits. With our experience in military laws and regulations, we will find an efficient, economical solution to your family law problems. Unique abilities to solve special legal problems: that's the advantage of consulting the Law Offices of Raymond B. Rounds.